Google is experimenting with a new social recommendation engine that is built-in to normal search results. Google calls it +1 –aka the “this is pretty cool” button. 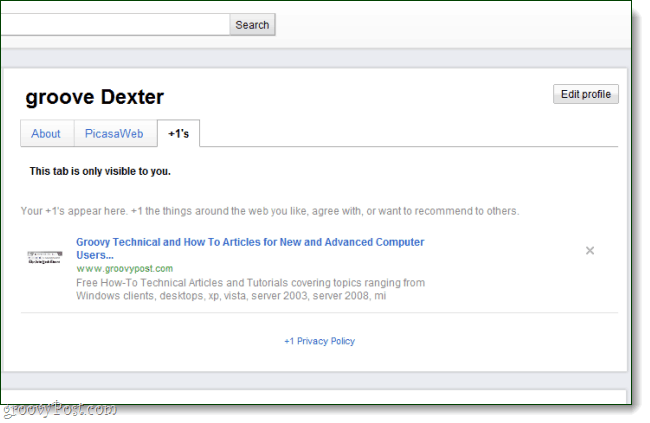 With +1 you can instantly recommend search results to others, all it takes is one click of a button next to the result. The +1 service is still under heavy development, but Google has already started rolling it out on a domain-by-domain basis. Their primary site, Google.com, will be the first to receive the new feature. In order to use +1, you’ll need to be logged in. From what we’ve seen, +1 hasn’t yet been added as a default feature. 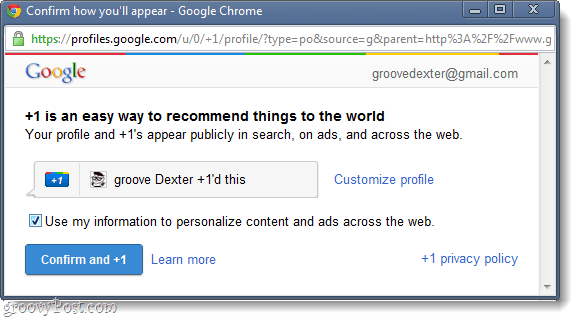 If you’d like to try +1 right now, you’ll also have to opt-in on Google’s experimental page. Note that if you clear your browser cookies the experimental feature will disabled and you will have to reactivate it. Once you have it set up, when you perform a Google search a +1 icon will appear next to each and every result. The strange thing is, it lets you rate a website before actually visiting it. This defeats the entire point, as users can randomly rate websites without ever even going to them. At first I thought it might have been an April fool’s joke, but it is still March –and Google has already deeply imbedded this feature throughout their site. As we continue looking at the new Google +1 engine, keep in mind that it is still in an experimental state and is subject to change. When you submit your first +1 click, you’ll be shown a profile setup page. Here you can set whether you want Google to personalize your content, and you can also set your Google Profile display name. After you’ve +1’d a result, it will be highlighted next to the site name of it. You can view everything you’ve ever rated with a +1 on your Google profile page. You can set whether or not you’d like your +1 history to be public.